The Brexit is coming! However, for machine and plant manufacturers the exit of the United Kingdom from the EU can have considerable effects. The accreditation of the British named or notified bodies (Notified Bodies) and the validity of the British EC/EU type examination certificates have not been finally clarified at the point where the EC membership ends. So far, the end of the transition period by 30. March 2019 is planned. However, it is likely that this period is prolonged until 31. December 2020, until a contractual agreement between the European Union and the United Kingdom exists. Up to that point, the United Kingdom remains in the European Single Market and is therefore obliged to adopt and to implement all the European rules on a national level – including the European provisions, guidelines and relevant harmonised standards. What happens if no trade agreement is made between the EU and UK? According to the product regulations of the European Union, notified bodies have to be located in a member state and named by a notifying authority of a member state. Notified bodies in the UK lose their status as EU Notified Bodies and they are removed from the NANDO database! EC/EU type examination certificates that have been issued by a notified body in the UK before the BREXIT date will also lose their validity! An application for a new EC/EU type examination by a notified EC body is required. Alternatively, the holder of the certificate can try to initiate the transfer of the complete inspection documents by a legal agreement between the manufacturer, the notified body in the UK and a notified body in the EC. However, is can be concluded that transfer without closer plausibility check and possible re-evaluations by the notified bodies by the accepting body is rather unlikely. 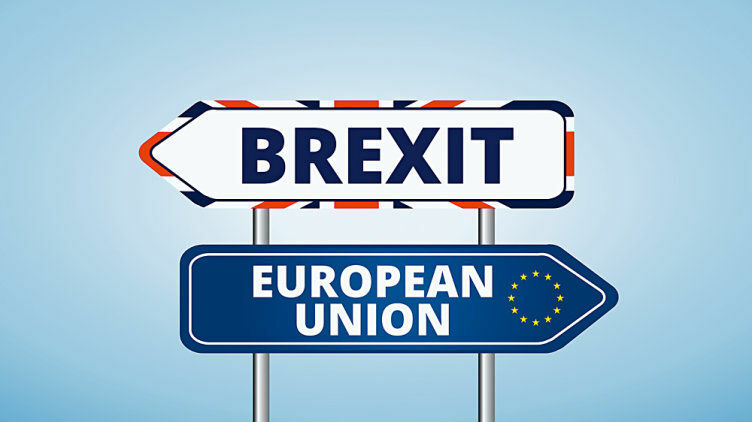 Machine and plant manufacturers who install components, modules or even complete machines with British EC/EU type examination certificates should monitor the developments of the Brexit exit procedure with higher vigilance. Does the Brexit have an effect on Pilz products? Pilz safety components are not affected by the Brexit, because Pilz does not hold any EC type examination certificates from British bodies. You can find further information on the web site of the European Union.